Cleveland fans, we’re the largest and rowdiest Browns Backers club in New York City (and arguably the country) — this is our second watch party at our new Cleveland bar. First one was a huge hit. Spread the word: we moved from our old Union Square location (which is now permanently closed to all business). 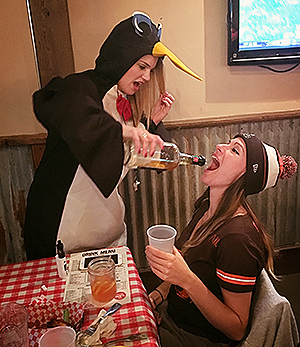 All our normal Cleveland specials will be available during the game: half price wings & rib-tips, $3 Coors Light drafts, $12 Coors Light pitchers, $4 Blue Moon drafts, $16 Blue Moon pitchers.